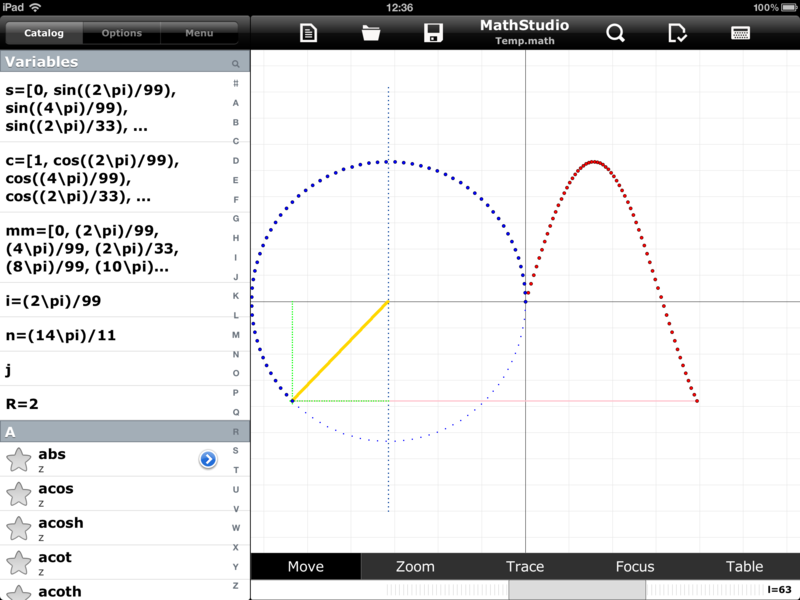 This script plots a circle and a sinusoid using many kind of plots. It shows a segment line in rotation following the circle plot. All the plots are drawned according to a Sliders to plot them step by step.